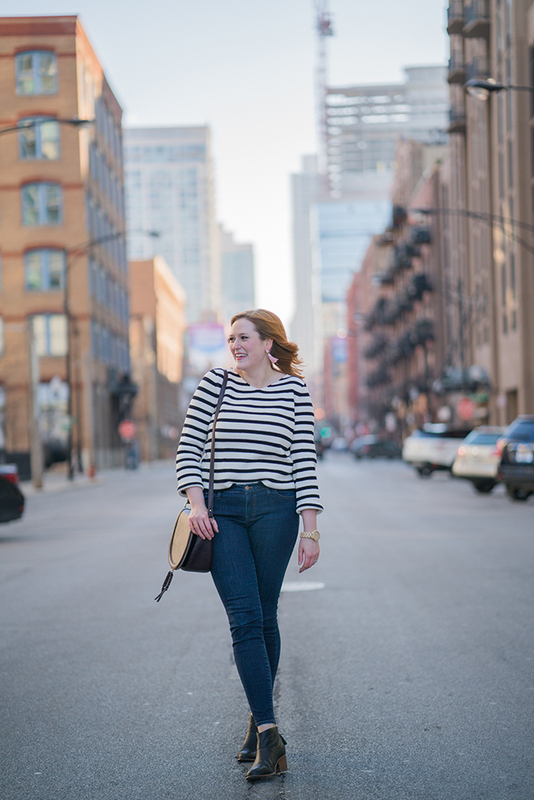 Kristina does the Internets: Stripes, a New Watch & a Giveaway! 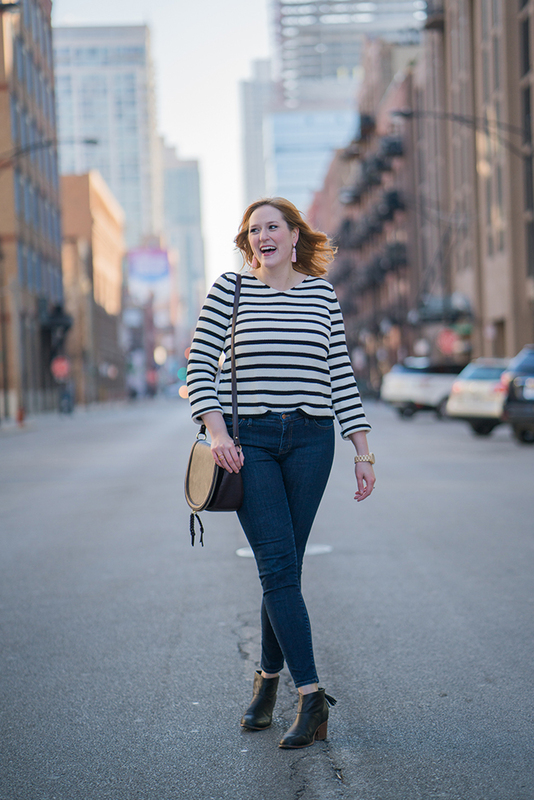 Stripes, a New Watch & a Giveaway! This post is sponsored by JORD. All thoughts and opinions are my own. So not to do a complete 180, but are you super super super over winter at this point? I look in my closet every day and am totally uninspired because I've worn every sweater in there approximately nine thousand times in a row. Which is why I went on a little LOFT binge when they were having one of their many 40% off sales, and ended up coming home with this cute striped lace-up back sweater. 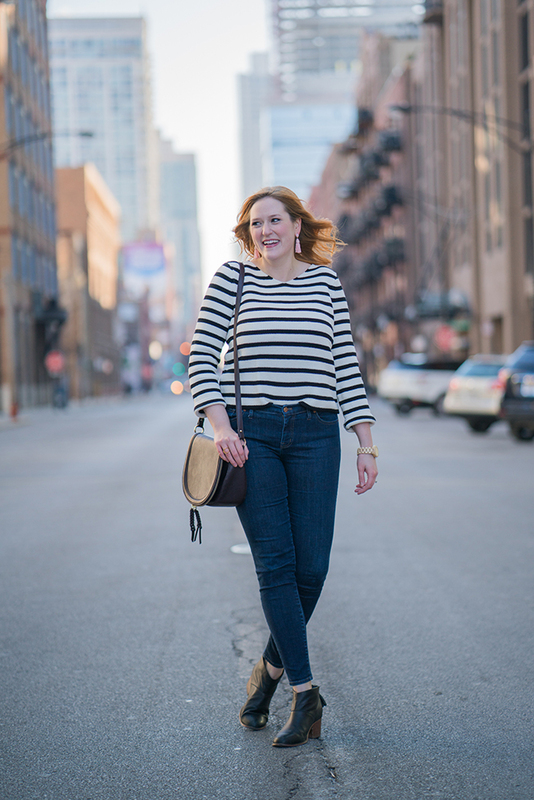 I love that the shape is a little different than most of my sweaters - something about it being slightly cropped and boxy makes me think I'm a character in That '70s Show in the best way possible. Plus, I mean, the lace-up back. Dyyyyying. I think I only have one item with a lace-up front because they're usually way too low-cut for me, but a lace-up back? Perfection! 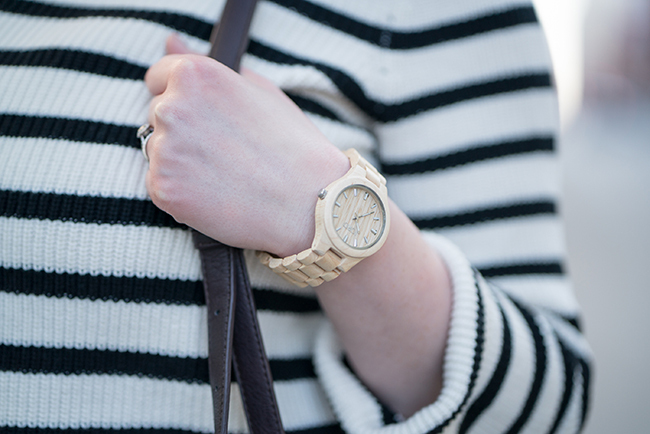 To go along with my new sweater, I'm also super excited about my new wood watch from JORD! I had kind of been over-doing it with my other watches, so I was so excited when JORD reached out to me about partnering. They make really unique watches because they're made out of wood. So cool! 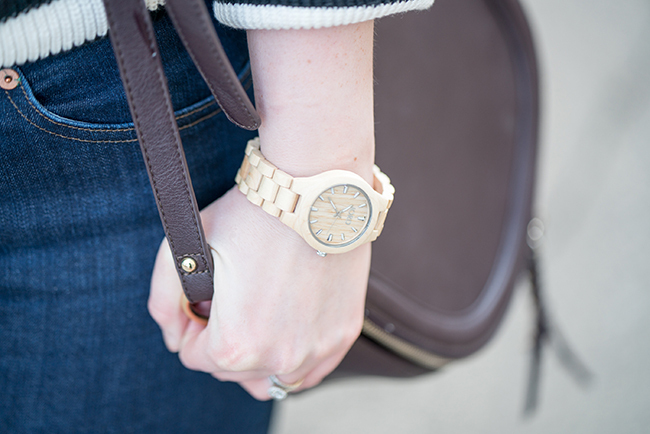 JORD makes men's and women's watches, and I love the women's versions because they're big without being too oversized. 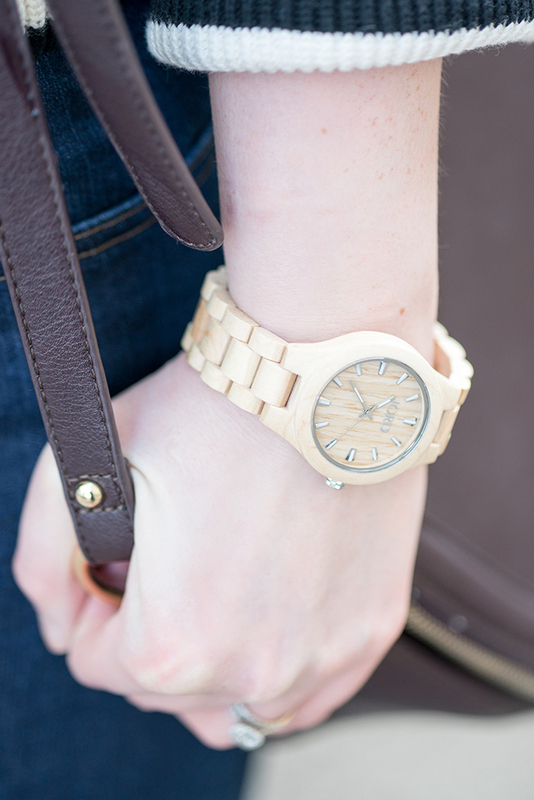 The watch they sent me is such a beautiful blonde maple - isn't it pretty?! I've basically been wearing it non-stop, the blonde color seriously goes with everything. 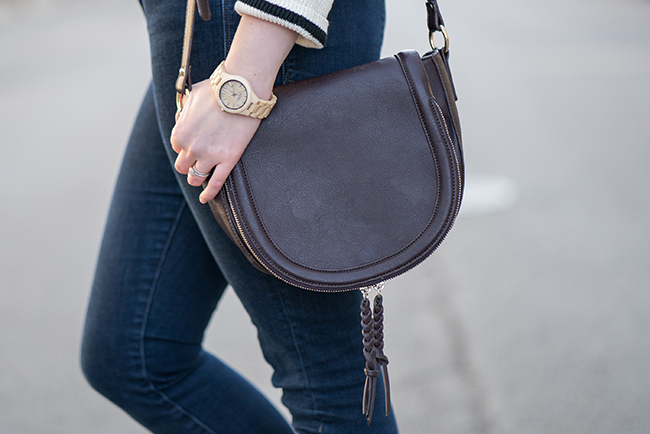 If you're looking for a pretty new watch for yourself then I have a little Valentine's Day surprise for you! I'm currently running a contest with JORD to giveaway a $100 credit to JORD for your own cool watch! And just for entering you can get yourself a $25 credit. 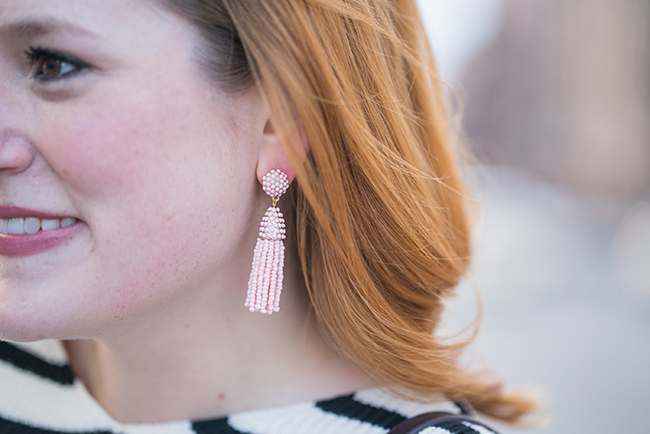 So really, it's a win-win (which, if you read this little bloggy often, you know is one of my favorite things ;). To enter, just click here and fill out your name and email - easy peasy! The contest runs through February 19th (this coming Sunday!) so enter now for your chance to win. 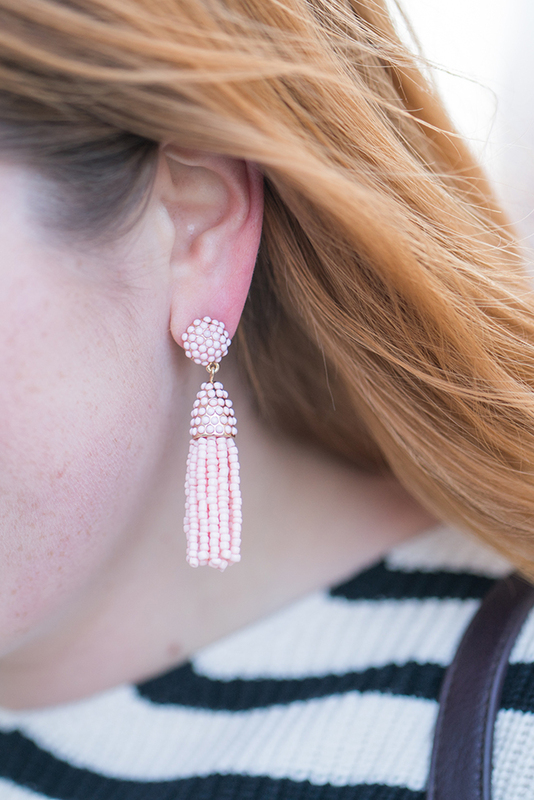 Linking up with Style Sessions, Confident Twosday.